Tired of Seeing Hilton Head’s Broad Creek Used As A Dumpster? 28 Mar Tired of Seeing Hilton Head’s Broad Creek Used As A Dumpster? After waiting nearly a year, a group of Hilton Head Island residents are taking it upon themselves to clean up boats that were abandoned in the Broad Creek. After Hurricane Matthew destroyed Palmetto Bay Marina last year, the number of boats moored in the Broad Creek nearly doubled. The legal process to deem the boats abandoned only started a couple weeks ago and will take months to complete. On Saturday, three residents who live on the Broad Creek, Russell Patterson, Curt Hennessey and Joe Short, decided to get the removal process started themselves. The three men spent about four hours pumping Daydreamer — one of the abandoned sailboats — out at low tide, pulling it off the oyster bank and towing it to Patterson’s dock. Daydreamer has spent the past few months floating up and down the waterway, before finally getting stuck on an oyster bed and tipping onto its side. 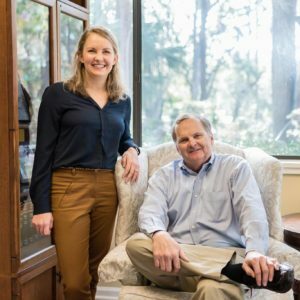 The S.C. Department of Natural Resources tracked down the owner of Daydreamer, who lives in Florida and agreed to send Patterson the sailboat’s title. Once Patterson receives the title, he plans to pull Daydreamer out of the water at the Palmetto Bay Yacht Center and recycle all the metal before demolishing the sailboat. 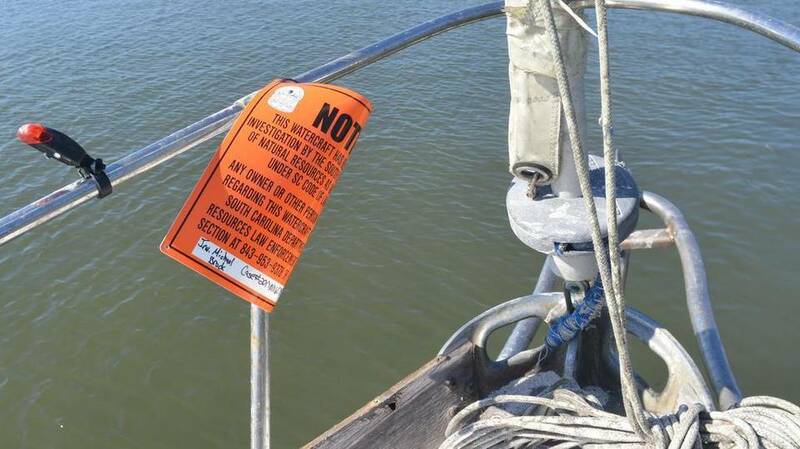 “We spend millions of dollars each year to get tourists down here, and then to see people abandoning boats and using the main waterway of Hilton Head Island as a Dumpster is really hard to take,” Patterson said. Continue Reading Tired of Seeing Hilton Head’s Broad Creek Used As A Dumpster? in The Island Packet.